Most Japanese women want to become thin. So they become sensitive to information they becoming thin. When I was a child, my favorite book was the photograph collection of Jewels. It was the very beautiful book I've ever seen. 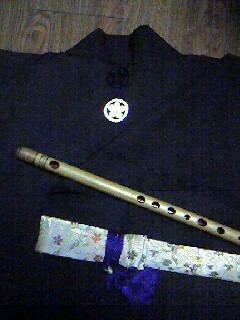 I play flute, the reason why I chosed flute, I felt that the flute was as beautiful as the jewel. 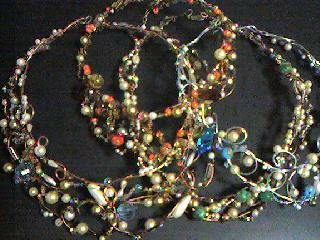 This photo is my works of necklace. 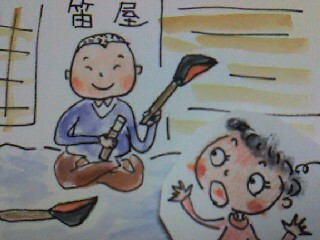 when I buy SHINOBUE (Japanese bamboo flute) , I go to not a music store but the workman's atelier in Chiba prefecture. It takes 4houres from my house in Tokyo. 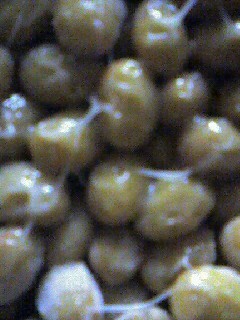 I am looking forward to meeting new SHINOBUE. This HAORI is a keepsake of my father's brother. Sometimes I go to marathon race for cheering my friends. 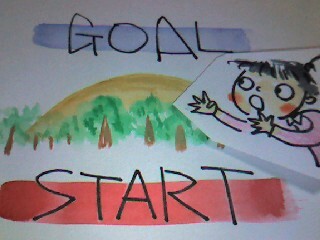 Many people assist in the start and the goal point. But every runners hold out near the goal point. So My assistance point is 2~3km faraway from the goal point. The OUME Marathon rally is a famous marathon rally in Japan. This rally will hold on 2/4. So, many runners run in the bank near my house. It's the wonderful road for runners. 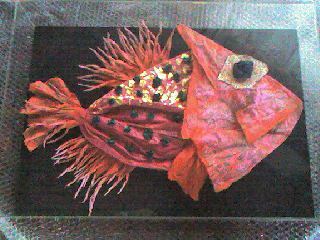 I will make a fish's work. May 5 is a children's Day in Japan. KOINOBORI (carp streamer flag) is decorated the outside. 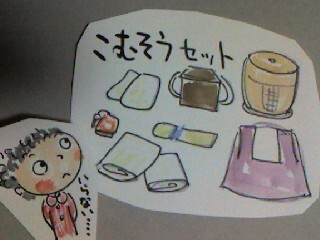 I must make a special KOINOBORI for inside. It is difficult to cut the pumpkin. But it doesn't take time to boil the pumpkin. The potato is hard,too. It takes time to boil. 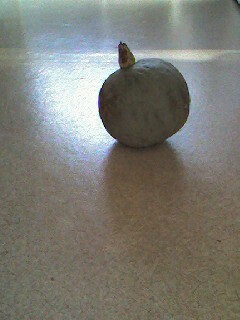 When I cook the pumpkin,I think the pumpkin to be a misterious vegitable. 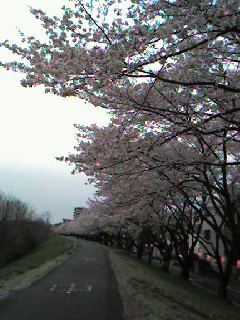 There ia a big tree near my house. 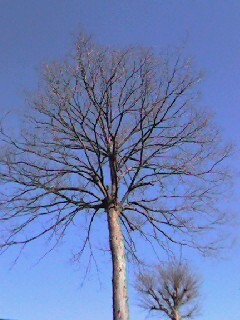 I like the tree standing without leaves in winter. I take a lot of tree pictures. I went to the shop of Japanese instrument today. There is something that cannot be seen. We cannot see the special shakuhachi wear in a usual music store.